Plan your trip to “The Paperclip" with PRIMESPORT, the Official Travel Partner of Martinsville Speedway. Enhance your experience with the All-Access Suite which includes all you can eat food, unlimited soft drinks, beer and wine, and all-access Gold Pass. As the first short track on the schedule, do not miss your driver take home the Grandfather Clock! 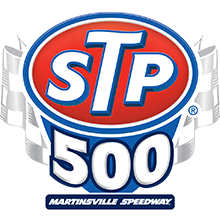 Book your STP 500 travel package from PRIMESPORT, to Official Travel Partner of Martinsville Speedway. Plan your trip to come see short track racing live in person and be closer to the action than any other track. Do not worry about anything and book your two or three night travel package with PRIMESPORT today! Martinsville Speedway, known as America’s Premier Short Track, offers some great racing action and a commitment to the fan experience. One of the most popular facilities among drivers and fans in all of motorsports, Martinsville Speedway annually hosts two >NASCAR doubleheader weekends, featuring the NASCAR Monster Energy Cup Series and NASCAR XFINITY Series, on 1/2-mile “paperclip”. “The King” Richard Petty pretty much owns every record with most wins, top 5’s, and starts at Martinsville. Jimmy Johnson has the record for the highest average finish at 3.3. STP 500 is primarily run in the spring, one week before The Masters.